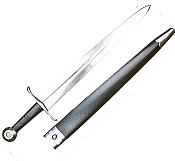 We have medieval swords daggers and knife replicas for props, display and collectors. 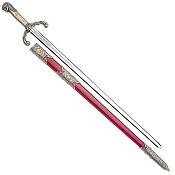 Click Here To See Details and Product Options Ceremonial Masonic Sword. 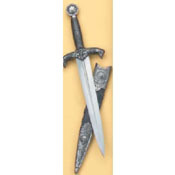 Historic Decorator Roman Dagger: Historic Roman Dagger. 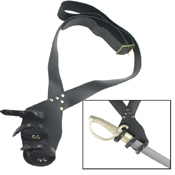 Features metal handle, scabbard and cast metal blade. 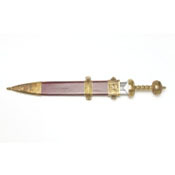 Finely engraved with eagles, lion and wolf figures. 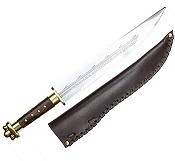 Length: 15", Weight: 2 lbs. 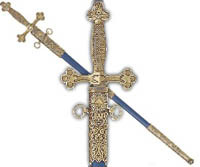 Our New museum quality Replica Peter the Great Sword is masterpiece to behold. 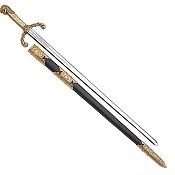 Scabbard has ornate fittings and the Russian double eagle emblem. 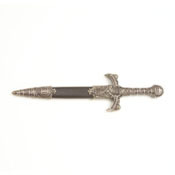 The handle of this replica sword features a helmeted Steppe Warrior & engraved faux ivory hand grip. 35” Long Weighs 4 Lbs.